Een week lang coaching krijgen van Ruben Lenten in Brazilie in november. Als je wil leren loopen is dit wellicht een leuke optie voor je vakantie. This November LEN10 Experience will return to Brazil! We chose Jericoacoara as our base as it’s an awesome lively hippie town that we love to bits. From there we have plenty of options for all kinds of sessions, coaching, and adventures. 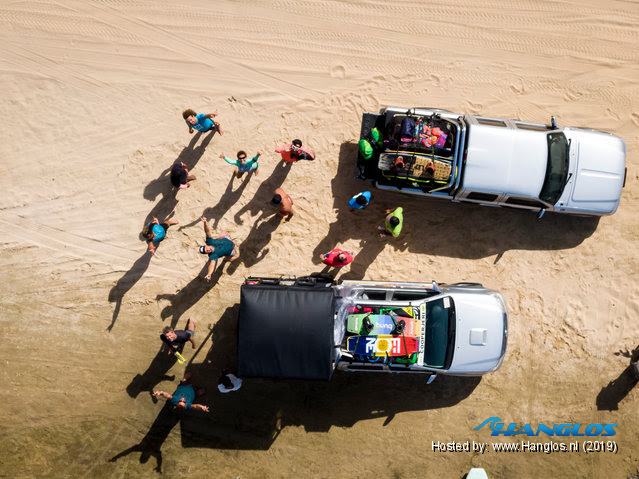 Boasting over 25 kilometres of beaches and solid wind right from June all the way through February, there are fantastic conditions, flat water lagoons, river mouths and ocean waves. Expect an awesome group of people that are willing to engage, learn and send it to the max. During the week the crew will take care of everything so that you can enjoy your holiday to the fullest and spend your time and energy doing what you love. Brazil offers a different adventure every day. Our local guide Paulo will drive us to the best spots by 4x4 each day. We will have theory lessons, yoga, delicious and healthy food, coaching by Ruben, amazing downwinders, sunset sessions, and of course the usual after kite celebrations. There’s no doubt that your kite skills will reach a whole new level and that you’ll feel much more comfortable on the water in order to ride hard and fly high. We are looking forward to meet you, welcome you, and have many great sessions and adventures in and around Jericoacoara with you. Feel free to bring your kiting or non-kiting lady, partner, friend of colleague. Please let us know if you have any questions or simply would like to book this already epic holiday with us. We will be staying in a beautiful luxurious villa with swimming pool, located in Jericoacoara. The perfect oase to chill, relax and have fun after our kite adventures. Each room has a private bathroom. Each day will be planned according to the tides and conditions, so the full itinerary will be made a few days in advance together with our local guide to make sure we hit all the right spots at the right times. Fly to Fortaleza (FOR) and take a 4 hour transfer by 4x4 from there to Jericoacoara. Fly to the new Jericoacoara airport (JJD) and take a 30 min transfer from there. Both are good options. We can help arrange the airport transfers for you. These are not included in the price. We advise arriving a day early and spending a night in one of the many pousada’s in Jericoacoara so you can start the experience fresh and full of energy.